1954 Kaiser Darrin Model 161 Roadster with only two documented owners from new, with the last maintaining possession since 1957! Having been cosmetically restored in 2005, this 61,000 mile gem has received all the right attention mechanically by Bob Dunn of Custom Auto in 2008 to be an outstanding road car! This represents #105/435 produced! Superb blue chip investment from the design legend, Dutch Darrin! As the European sports car market invaded the United States after WWII, American auto manufacturers took notice. Very few, if any, produced a 2-seater oriented sports car. By the early 1950’s, Jaguar, Austin Healey, Triumph, MG and other small English sports cars were finding garages in the United States, not to mention Alfa Romeo, Porsche, etc. Pushing an effort to supply a unique 2-seater for the Kaiser brand was designer Howard “Dutch” Darrin, a renowned automotive stylist for Packard and Duesenberg. Although, the longtime sedan oriented Henry J. Kaiser was a tough sell on pushing such an automobile, his selection of traditional family style automobiles was a major focus to save his namesake in an ever-growing market where larger firms were eating up their competition. Darrin was able to push his stunning Roadster with disappearing doors that slid into the front fenders forward to production, some say with the prodding of Mrs. Kaiser after seeing the design, so it would appear at the 1953 New York auto show with many admirers. Kaiser Motors was struggling as whole to stay alive, so only 435 Roadsters would be produced, and today represent the last of Dutch Darrin\'s automotive legacy. Offered here is a 1954 Kaiser Darrin Model 161 Roadster finished in factory code correct Pine Tint Green over Pine Tint Pincrush Vinyl upholstery with matching Vinyl Convertible Top. Powered by its original Continental 161ci Hurricane F-Head Inline 6 Cylinder Engine with factory Carter YF carburetion producing an approximate 90 horsepower, and 3-speed overdrive manual transmission. Features include wire spoke wheels, BF Goodrich Silvertown 6.50-15 wide whitewall tires, full dash instrumentation, wide turn signals, Plexiglas windscreens, engine oil filtration system, heat/defrost, tinted windscreen, front & rear bumper guards, fitted side curtains, and more! This example was sold new from Lettier’s Garage, a Kaiser/Willys Dealership based in Hazleton, PA to a Pottsville, PA owner. After 4 years of ownership, an ad was placed in the local paper that attracted a new owner, Mr. Dixon. With only 7,000 miles on the odometer, he drove his new car home to show the family in 1957! 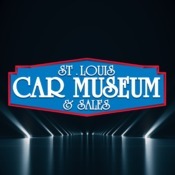 It would never trade hands again until acquired by the St. Louis Car Museum! The Dixon family enjoyed using this Kaiser Darrin Model 161 Roadster regularly through approximately 1967, before it would get parked in the garage. It would be in 1984, when the owner’s son, John Dixon, would convince his dad to bring their special Darrin to their Fort Lauderdale residence to restore and enjoy once again. John would fly to their Pennsylvania home, conduct only minor maintenance to include new plugs & points, new battery, fresh engine oil and fuel, then drive some 1300 miles to Florida without incident! Once in Florida, it would be enjoyed only sparingly until the father’s passing. It was then sent back to a PA restoration house in 2003 for a cosmetic restoration. This included new exterior paint in the correct, factory color, new interior upholstery material sourced from the Kaiser-Fraser Club, along with correct convertible top. Upon completion in 2005, it would come back to Florida and find its way to Bob Dunn of Custom Auto to ensure the mechanicals were in order. At this time, it had less than 57,000 original miles. Bob elected to replace the clutch & pressure plate, rebuild the generator & water pump, most engine gaskets, new voltage regulator, exhaust system, ignition system, and all fluids. Upon completion, John Dixon would enjoy seasonably for about 3,500 miles through April 2018. Today, the odometer reads only 61,138 miles! After arrival to the St. Louis Car Museum, we changed the engine oil/filter, heater hoses, rebuilt the bouncing tachometer along with replacing the cable, replaced the front kingpins, installed new transmission mounts, changed the transmission fluid, repacked front wheel bearings, both headlights, replaced fresh air ducting, adjusted parking brake, and topped off the rear axle grease. Overall, it was already largely ready to enjoy! Showcasing a 13-year old restoration, it presents today as a largely original example. Complete with extra keys, all tire changing tools including spare tire cover, side curtains, and documented ownership history. Please feel free to call with additional questions or submit an offer before it’s too late! Priced aggressively for the market considering its condition! Act quickly!